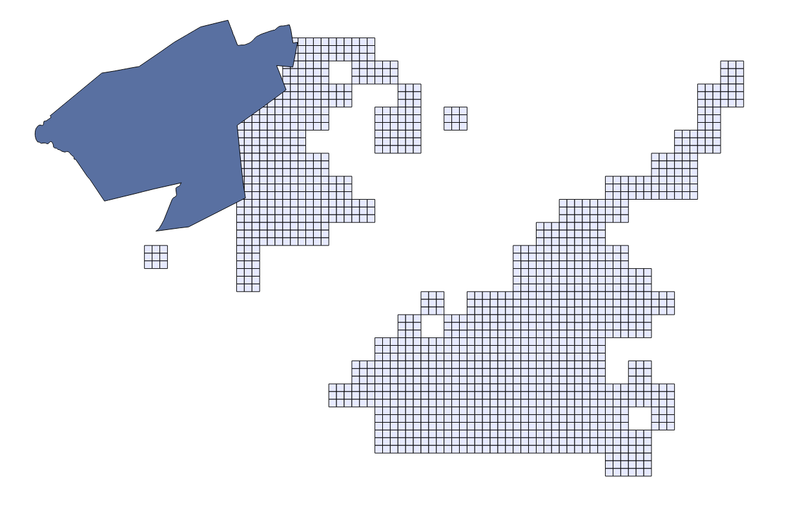 This grid has been first made in ArcGIS, but I use QGIS so I've just saved a new version under QGIS. I have managed to create a grid encompassing the 2 areas but the size of the cells is slightly different and that's a problem for my analysis. It's impossible to get the exact same size, since I'm using as CRS EPSG:4326 for which map units are in degrees (I can't change that) and my cell size is in km^2. So far in similar questions I have only seen suggestions of creating a new grid including the new areas, but I didn't find anything about the possibility or impossibility to modify an existing vector grid. Browse other questions tagged vector-grid qgis-2.18 or ask your own question.